Abdullah Kachhi Sindhi Classical Music Singer. He was most popular Sindhi Old Classical Music, Siindhi Folk Music Artist. He was great legendary Artist of Sindh, he has sung Super Hit Sindhi songs in his own style. and he create great name in Sindh Music. He was very popular in all over Sindh due to his stylish singing and his great sweet sound. He was sung poetry of "Hazrat Shah Abdul Latif Bhitai R.A", and other Sindhi Sufi poets of Sindh. Abdullah Kachhi was well known Folk Music Singer of Sindhi language. He was famous about Sufi Kalam's, Arfana Kalams and Kalam of Sindhi Sufi poets. He had sung Sindhi Folk Cultural Music. He was Ustad of "Sindhi Mousiqui". I have selected below most popular Music of Abdullah Kachhi. 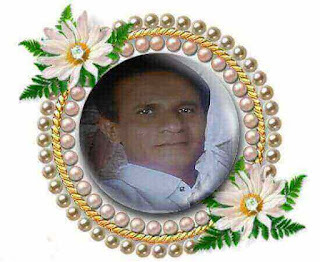 Abdulah Kachhi was very popular and famous Singer of Radio Pakistan Hyderabad, Khairpur Sindh and Pakistan Television. The Hit songs of Abdullah Kachhi goes to put affects on every hearts and spirits. He had sung great Sufi poets and other popular poets of Sindh in open Mehfils, Marriage ceremonies, and Mela occasions. Sindhi poets are very popular in all over the World. Abdullah Kachhi had sung lot of great songs and we love his popular song every time, he is still called the King of Sindhi Arfana Kalam.